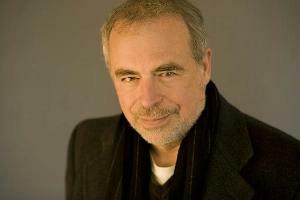 With Empire Falls Richard Russo cements his reputation as one of America's most compelling and compassionate storytellers. Miles Roby has been slinging burgers at the Empire Grill for 20 years, a job that cost him his college education and much of his self-respect. What keeps him there? It could be his bright, sensitive daughter Tick, who needs all his help surviving the local high school. Or maybe it's Janine, Miles' soon-to-be ex-wife, who's taken up with a noxiously vain health-club proprietor. Or perhaps it's the imperious Francine Whiting, who owns everything in town-and seems to believe that "everything" includes Miles himself. In Empire Falls Richard Russo delves deep into the blue-collar heart of America in a work that overflows with hilarity, heartache, and grace. Rick Russo is the author of six previous novels and THE WHORE'S CHILD, a collection of stories. In 2002, he received the Pulitzer Prize for EMPIRE FALLS. He lives with his wife in Camden, Maine, and Boston.